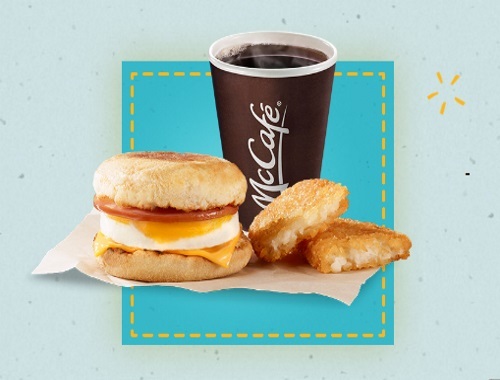 Canadian Daily Deals: McDonalds Coupons Savings + $1 Big Mac, Chicken McNuggets or McMuffin App Deal! McDonalds Coupons Savings + $1 Big Mac, Chicken McNuggets or McMuffin App Deal! Mcdonalds has brand new coupons available! Print these out, show them on your mobile device or wait for the mailed versions to arrive in your mailbox! Coupons may vary by province and are valid until June 11, 2017. Remember you can show these on your mobile device too, which is what I do, much easier and there is a deal to get a Big Mac, Chicken Mcnuggets 6 piece or McMuffin sandwich for only $1 when you download, register and activate the My Mcd's app from May 12-19! (valid in Ontario only).